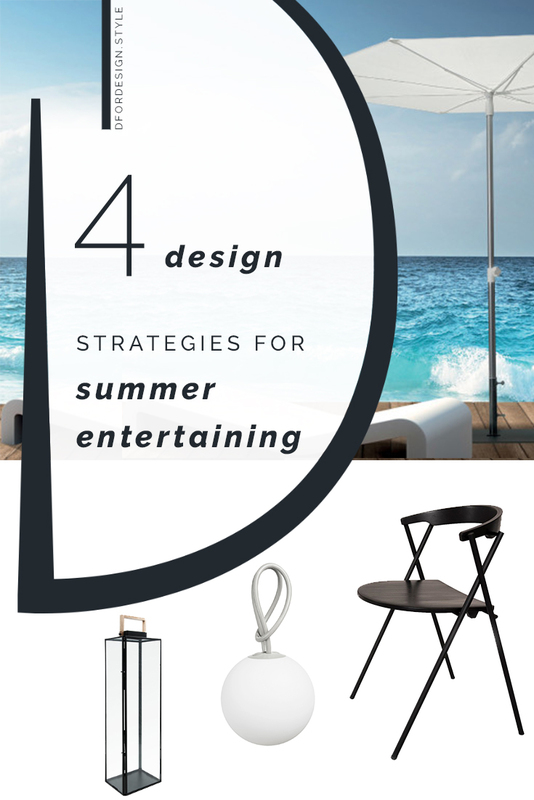 Entertaining outdoors is something we all enjoy doing when summer comes. 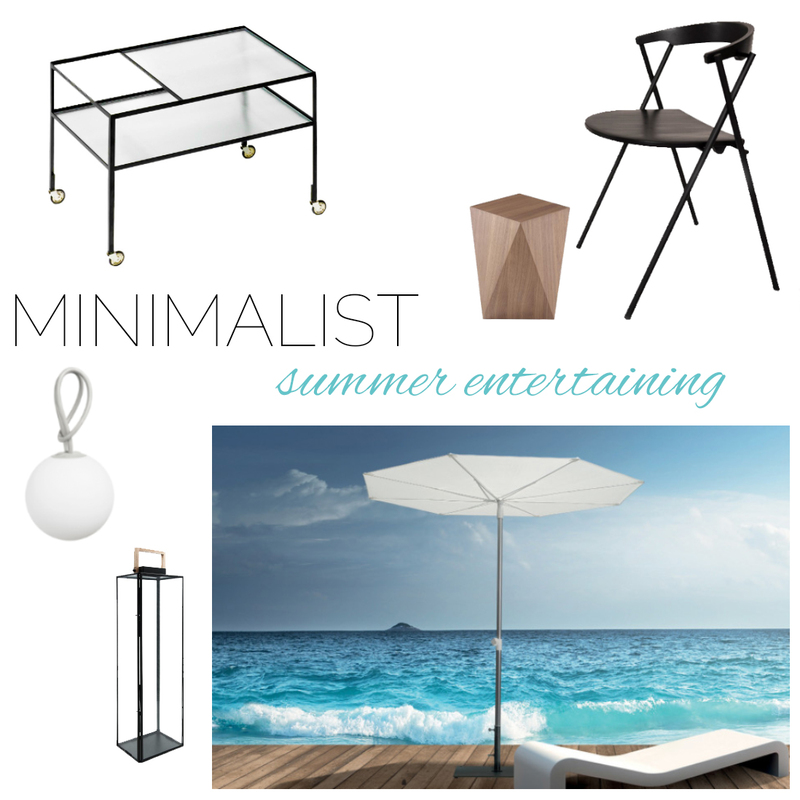 To address all of this successfully I have put together my go-to tips, together with product inspirations that will make for a perfect minimalist summer entertaining ambiance! Say you have just a little outdoor space, but you don’t want to give up on your summer entertaining. 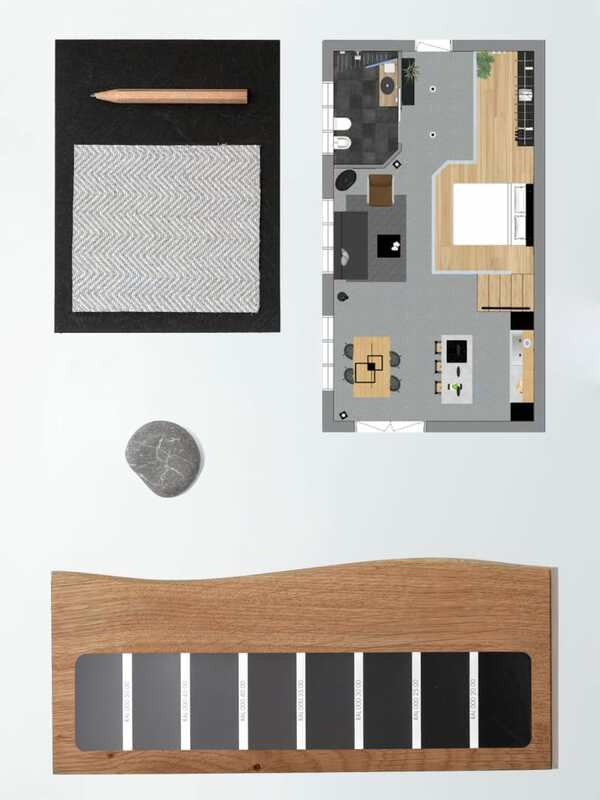 The key here is to prefer multi-functional objects and smart solutions that provide comfort without taking up a lot of real estate. Seating is always a thing, with so many people to invite! Foldable chairs are a great solution, but they often lack on comfort and look inconsistent with the rest of the design. 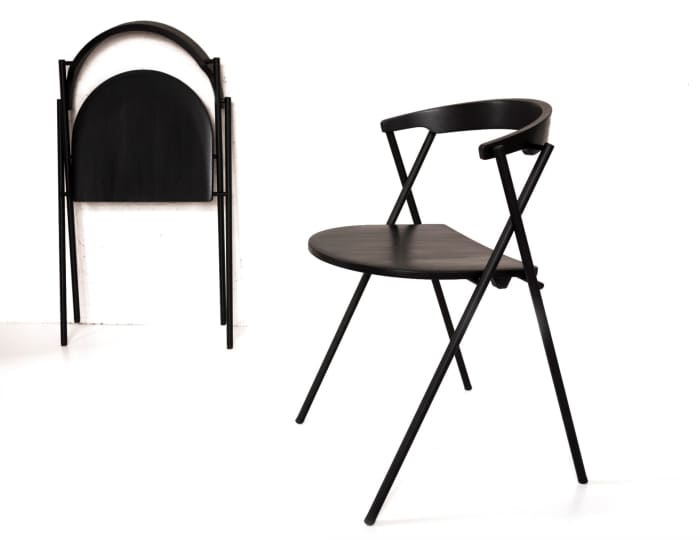 Arc folding chair, designed by Jonas Forsman, has a curved back that adds a lot to the comfort, creating a more welcoming space for back and arms. When open, it has nothing to do with a standard foldable chair. 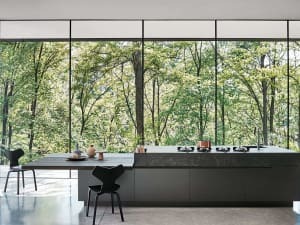 With its delicious minimalist lines, it will easily match with your interior, or better said, exterior space. As is, it’s a great addition if you like a minimalist style, but it can be adapted with a colourful cushion if your style is more funny/bohemian or with a natural linen stole for more of an earthy vibe.Then, when it’s time to store it, the back folds together with the seat resulting in a fully flat and thin chair that is super easy to store. Another thing that is never enough is free surfaces to put drinks or plates. 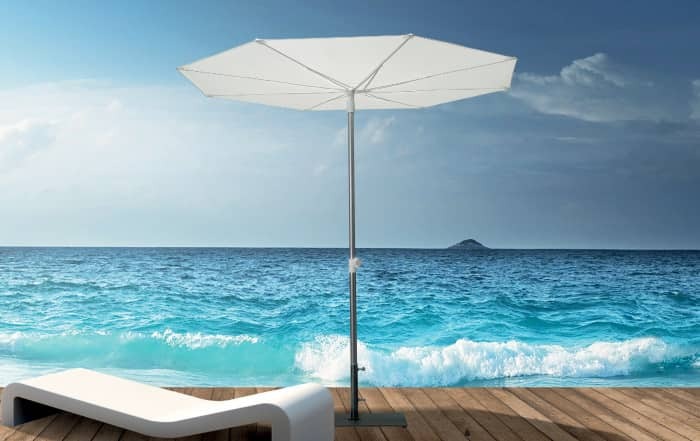 The best thing here is to have more locations in several points of your outdoor space. This way your guests will always find a comfortable spot close to them and your summer entertaining will not transform into a constant walk to reach the closest table! Small ottomans are great for that and they also can double as seating. 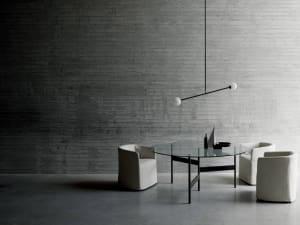 If minimalist style is your thing you’ll certainly love Rocher, designed by Hertel & Klarhoefer for Ligne Roset. 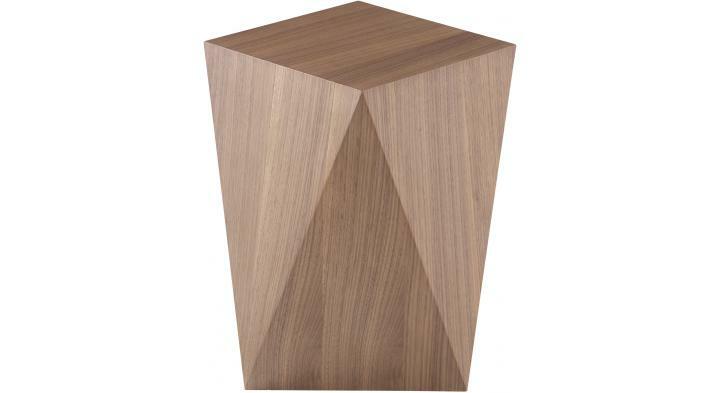 Modern and sleek, it has a streamlined walnut finish that is perfect to add a touch of warmth to any minimalist style. 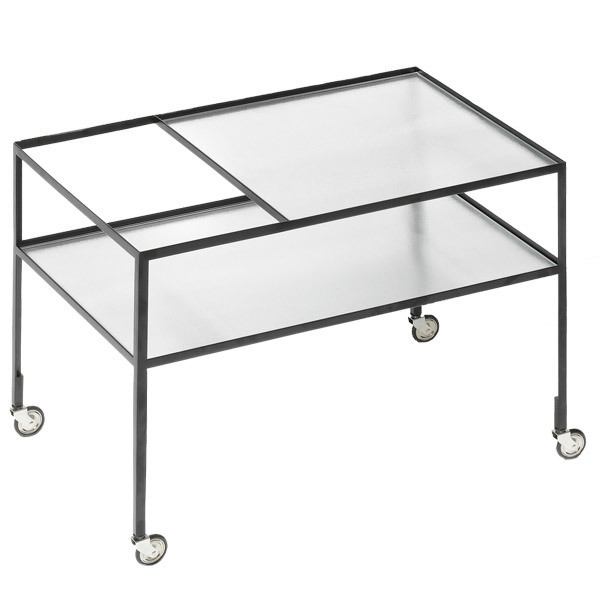 Also a bar cart can provide an additional usable surface, plus it will make it much easier for you to bring all you need outdoors while you’re getting ready for your next summer entertaining event. 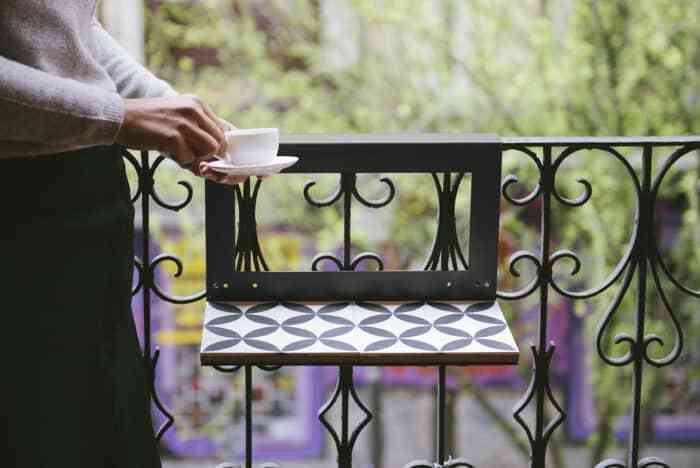 But if your outdoor is even smaller and you’d better not take up additional floor space, then a balcony table is the solution for you! Easy to install on a balcony railing, it’s the perfect spot for glasses, little snacks and some accessories. 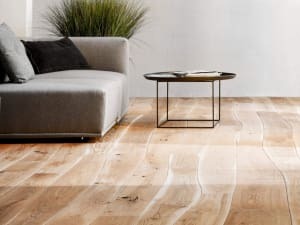 A steel frame and a sleek base (also available in a solid wood finish) create an exquisite minimalist style that makes Manuela one of my favourites! When preparing for a party, whether it’s summer entertaining or another time of the year, the right ambiance can really make the difference. Lighting is certainly on the most powerful tools here, and these days we can enjoy super handy portable solutions that don’t require a socket nearby. 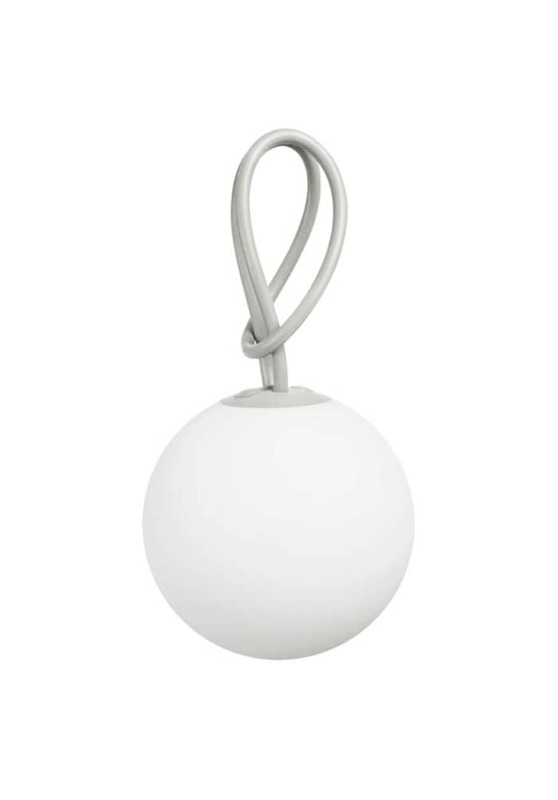 This beauty is Bolleke by Fatboy and it’s perfect for a minimalist outdoor setup! The silicone handle allows to fix it very practically to anything from branches to railings and the light is dimmable for maximum flexibility. Plants can also give your space a brand new look, especially if you choose a creative vessel to display them! (Number 4 of the list would be my best choice for a minimalist style). Last but not least, music works miracles by setting the right mood for a party. Technology comes to rescue again with wireless speakers, that ensure your favourite music can be played without having to plug anything in. Portable speakers can be discrete or dramatic and there are so many you will surely find one for you! I have put together a list of wireless speakers for 9 different style choices! Some of my favourites are feminine, eco-friendly and minimalist style of course! If you’re going to have guests during daytime, summer entertaining could easily translate into melting, and we don’t want that! A beautiful outdoor umbrella with a sleek design is the solution to create some shadow. One of my favourites, that would blend amazingly in a minimalist style, is the new Revo by Scolaro. Let’s face it, mosquitos are the number one killjoy of any summer entertaining! I like to use natural repellents like citronella oil, lavender, peppermint. 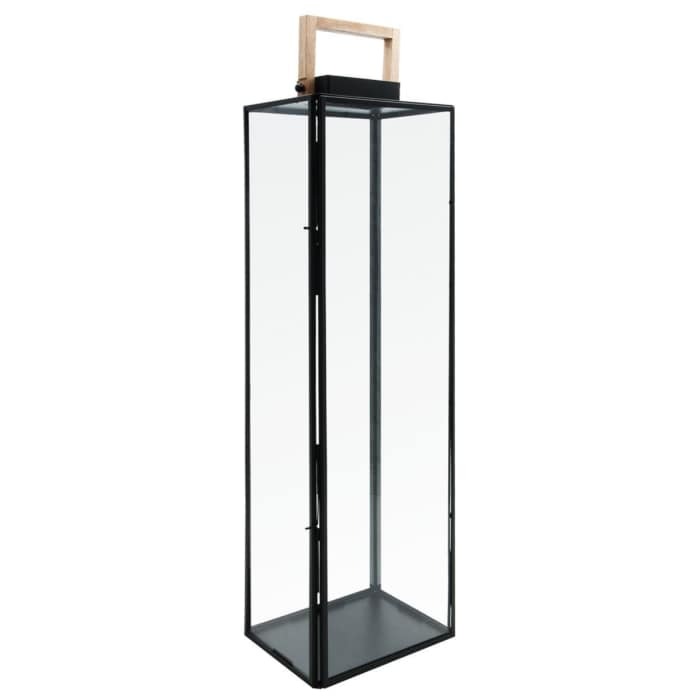 For outdoor events I often opt for big candles and display them in a modern, minimalist lantern, like Sia. I hope this summer you will enjoy a lot of memorable moments with your friends and families, after all this is what summer entertaining is about! And if your outdoor is not in its best shape, feel free to contact me or choose your e-design box to work together on a personalized design that makes the most of your own outodoor space!